If you’ve been eyeing up a new TV for your home in the past few years, it’s very likely that you’ll have come across a Smart TV in your travels. If you’re buying in 2016, it’s almost a given that the TV you pick up will have some level of smart features available to it. A modern Smart TV has the potential to enrich your home entertainment experience, delivering features that were previously unheard of in a television. If you’ve been wondering exactly what a Smart TV is, what it can do, or whether you should invest in one, we’re here to help. 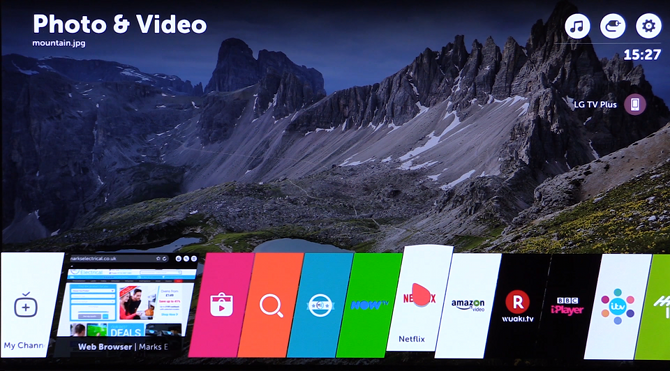 In its most basic form, a Smart TV is any television with features, beyond the age-old pastime of channel-flicking, that are dependent on internet connectivity. For example, this could be a web browser that you can use to navigate the internet on your TV screen. 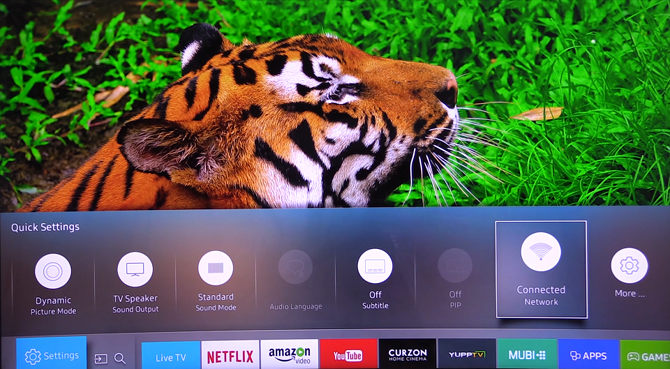 The capabilities of a Smart TV depend wholly on the manufacturer and what they have decided to include in the package, though many allow for downloads of apps and features not already included. The user interface that you navigate will differ between brands, so it’s worth researching to find one you like. Smart TVs are capable of providing on-demand content, both video and gaming, web browsing, social media and even instant messaging. What Do I Need To Make My TV Smart? At the very minimum, you will need a television with content streaming features, along with an internet connection in your home. If your chosen model does not have built-in WiFi capabilities, you will need to connect it to your home router or modem via an Ethernet cable. If you choose to connect via WiFi, keep in mind the distance between your TV and the router – a strong signal is a must for streaming high definition content. It’s also advisable that you ensure your internet connection is fast enough to support video streaming, whilst ensuring you have enough available data in your monthly plan. Certain apps and services will require a subscription or payment to be activated or used, such as Netflix, so think about the services you might be interested in when considering Smart TV. If you’re watching live television, whether through an app or traditional programming, you will still require a television licence. There are 3rd party set-top boxes that can provide similar features if your model doesn't have any already integrated. These will of course take up a valuable port, so setups with a lot of existing peripherals might struggle. Do I Need a Smart TV? Not at all, but realistically most new TVs – if not all – that come to market will have some smart functionality built-in from the start. In that spirit, it’s worth having an idea of how much mileage you expect to get out of your Smart TV's enhanced features. If you find yourself firing up your laptop or tablet and binging on the latest Netflix original series more than you watch scheduled programming, a Smart TV could be a pretty big game-changer for you. It’s worth keeping in mind that even if you buy a Smart TV, it’s very much a separate portion of the overall experience – you won’t be pushed into using those features if you don’t want to. There's no harm in having these features available just in case. Which is the Best Smart TV For Me? Just like the display technology that differs between brands, each Smart TV offering changes with the television you choose. Generally, the largest differences will be found in the design of the interface, along with the number of native apps and availability of additional ones. It’s also important to check the processor is adequate enough to run these services smoothly – we recommend a Quad-core processor. Here’s a quick run-down of what you can expect between brands. LG’s Smart offering is called the webOS and is generally considered to be one of the most impressive systems available. It features a really visual block-colour design that’s easy to navigate; the Magic Remote included in many LG Smart TVs makes this even easier through motion control. You can enjoy a staggering collection of apps, games and content if you purchase an LG Smart TV – it’s probably one of the broadest libraries around. LG has even updated their operating system to webOS 3.0, which has unlocked even more unique features, including a dynamic zoom that doesn’t pause playback and an easier way to connect your mobile devices. If you’re serious about getting the full Smart experience, LG is a superb choice. Powered by the Tizen operating system, Samsung’s Smart Hub has a very mobile feel to it all. It looks akin to something you’d find on a tablet or smartphone – colourful panels and large icons – and this is something that works well in Samsung’s favour. It’s intuitive and direct, without feeling cluttered. There is an extensive catalogue of apps and games to select from, the system is generally very responsive and easy to use. There aren’t any special usability features that you’d find in the webOS platform, but for a robust and hassle-free experience, you can’t go wrong with Samsung. 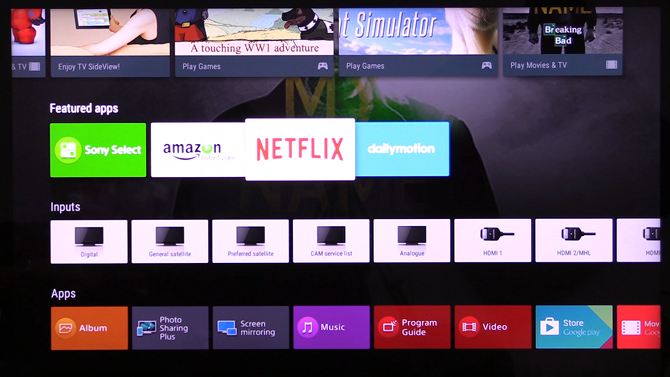 Sony uses a version of the Android operating system to create their Smart TV platform. The overall experience is highly customisable, such is the way with most Android-based systems, so you can tailor your interface a little more than other offerings. Originally, there have been performance concerns regarding Sony Smart TVs, with apps not running as efficiently as competing TVs. Fortunately, the 2016 line-up use a potent Quad-core processor to help push performance during use. Overall, it’s a very serviceable – if not impressive – environment to get your on-demand content fix from. The Hisense interface is a little more subdued than other models – it’s a little less slick and doesn’t navigate quite as smoothly. Don’t let that fool you, though, this is more than capable of delivering a range of superb content to your living room, browse the web and use social media features. It’s a great choice if you’d like to engage with the world of Smart TV, but don’t plan on splashing out on a more expensive brand. Hisense is well-known for their quality televisions, so with the added bonus of Smart functionality, they’re certainly a worthy purchase. With all the new ways we have to engage with our favourite content, especially in an on-demand capacity, it’s no wonder that more televisions are boasting internet-connected features to harness this growing trend. Netflix, YouTube, Spotify, BBC iPlayer – the list goes on, with each delivering on-demand quality entertainment in a way that suits the individual; services are becoming so robust that some people have even begun to cut the cord on traditional cable subscriptions. With very little setup required to get up-and-running and a whole range of content to explore, there's never been a better time to invest in Smart TV. Get in touch in the comments below with any questions you may have, we're happy to help! Explore our massive range of Smart TVs and find the perfect fit for you.